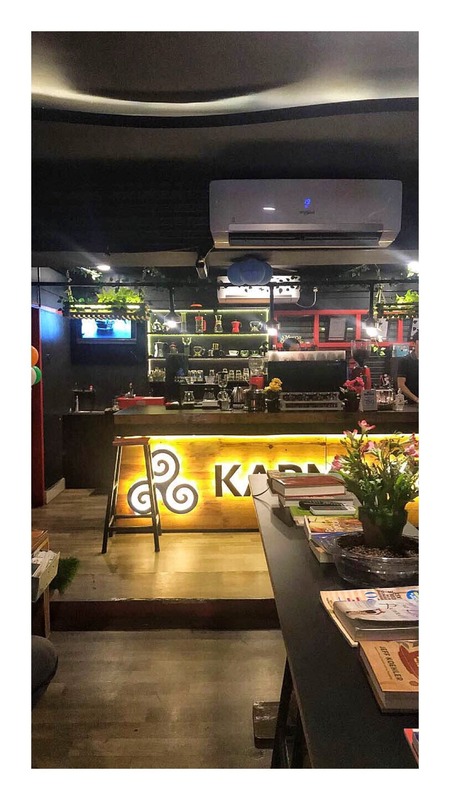 How amazingly Karma kaapi – Caffeine Studio has been crafted! The menu has my heart! The handwritten and doodled menu is everything that is love! And the menu includes not only the extraordinary range of coffee but also some savoury items! And also the tea lovers have their own paradise here! Kombucha tea- fermented tea is one amongst all! To add on, they also have few (very few) books provided! How amazing is that if you are a book lover too!